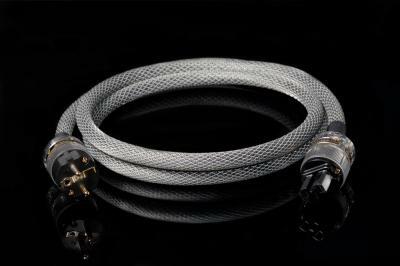 Diamond 3 : New cord HiDiamond design, performance and unique technology. A new frontier for all manufacturers of cables worldwide in this area of cost. Copper with exclusive technology VRC 4 (4 times copper cooked ? no other manufacturer uses this unique machining) with connectors with silver plated contacts for maximum energy transfer. PVC Insulation. Double braid shielding with GRAPHITE to delete any interference. Nothing was left to chance, as also the aesthetics that must guarantee a harmony with a product truly hi-tech (DESIGN: STUDIO CIOBOTARU). The dynamism, greater focus, are incredible details that make it a masterpiece.